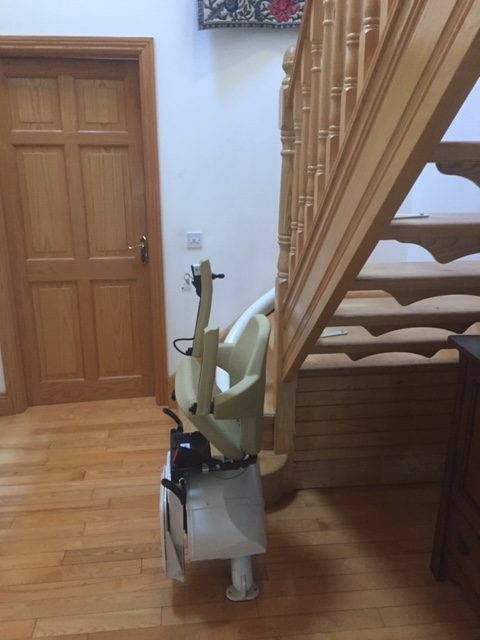 One of our customers from Tipperary recently had a stairlift installed into her two-story house. 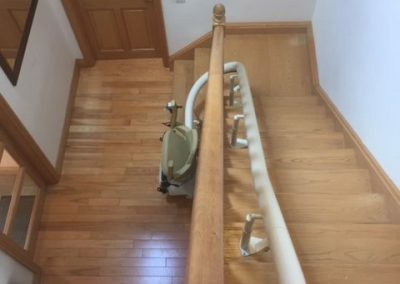 The woman was becoming older and was beginning to find it difficult to climb the stairs, although she is still very mobile, she was developing an unsteadiness while ascending the staircase and therefore thought she would benefit from her very own stairlift in Tipperary. 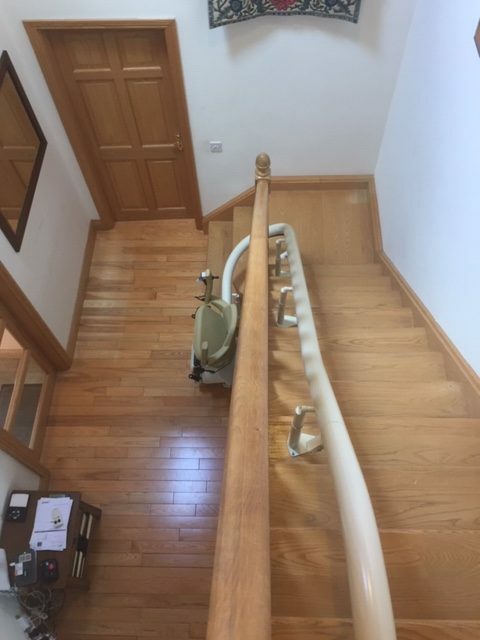 She got in touch with our sales staff over the phone and they put her in contact with her local rep.
Our Area Representative, Robert, called to the home in Tipperary to meet the customer, listen to her needs and assess the stairs case and give her a quotation, all at no cost. The client had a curved staircase, with a bend at the bottom and a large landing and base. 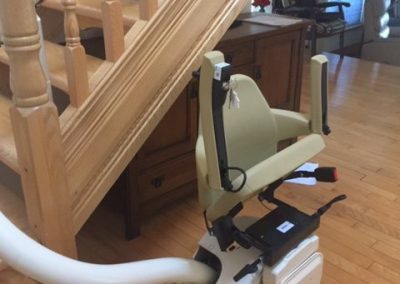 Because the customer was still mobile, she did not need help getting on or off the seat, but only when climbing the stairs. This would mean that she doesn’t need a powered seat to help her up from the seat. 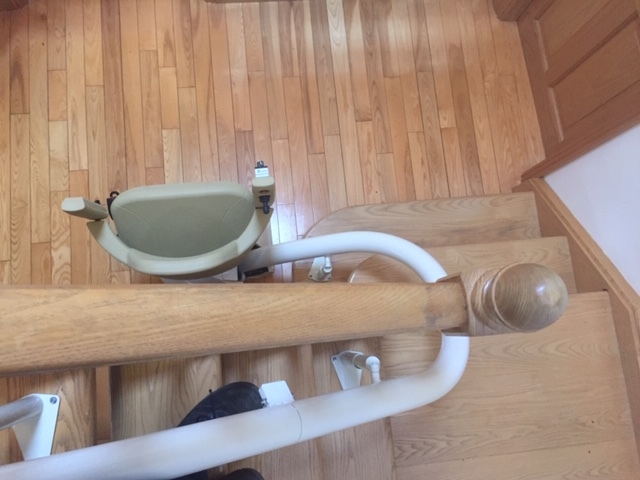 With the large landing at both the top and bottom of the stairs, the user didn’t need a swivel seat either as there was plenty of room for the chair to come straight on to the landing and park. 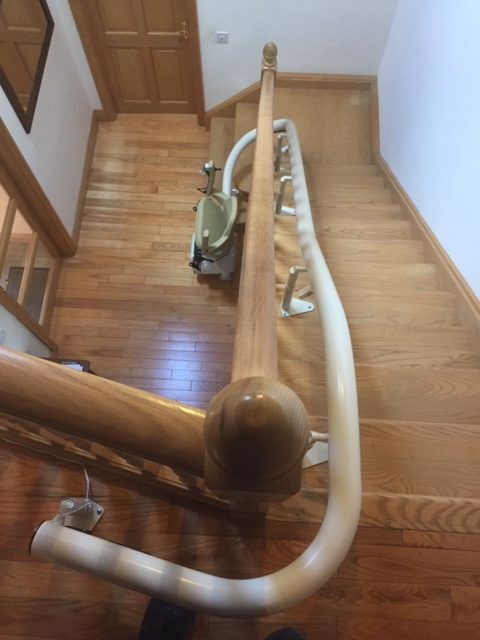 After speaking with Rob and discussing her options, the customer opted for a Van Gogh Stairlift. 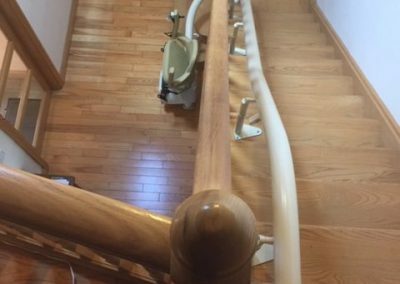 This Handicare stairlift is a singular tube track, as slim as 8cm in diameter, providing a safe and smooth track for comfortable lifts up and down the stairs. The customer also opted for a ‘classic seat’ which combines the utmost comfort with a stylish, easy-to-clean leather finish, designed by physiotherapists and OT’s for the Handicare range. The Van Gogh can be folded up to a maximize the space on the landings when it is not in use with the chair, armrests and footplate all folding up to increase the space and make the stairs passable by other users. 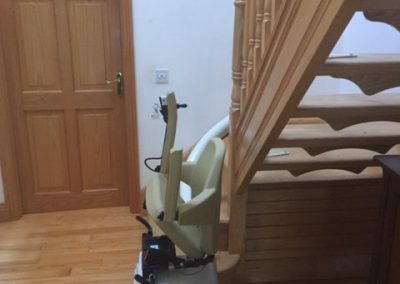 The Handicare Van Gogh also comes with two remote controls so you can have one downstairs, and one upstairs on either landing which makes it ideal for multiple users and allows you to move the stairlift without having to sit on it and can be moved somewhat like an elevator. 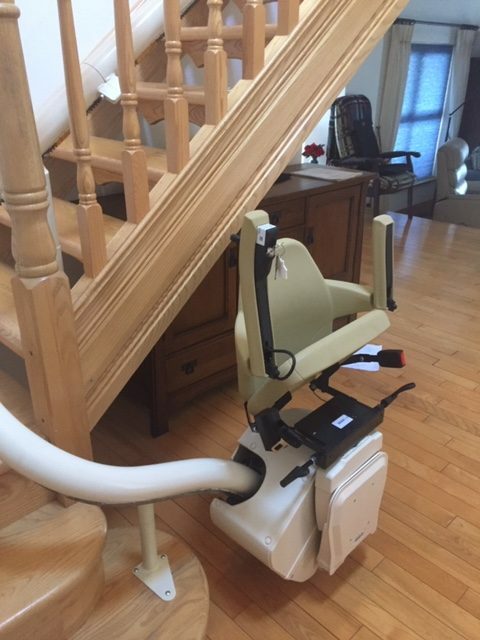 The safety features on this stairlift provide the user with peace of mind. The safety sensors on the footplate and power pack will stop the lift if it encounters an obstacle when it meets an obstacle, it can then only be moved away from the obstruction and not towards it. Another safety feature is the standard safety belt which is fitted on all our Handicare stairlifts and an access key switch that will allow you to disable the lift if not in use, this is extremely handy if there is a chance that there will be small children near the stairlift. Once our customer had decided that the Van Gogh was definitely the stairlift that she wanted, Rob had our Sales team do up an invoice and move to the next step of the process. The sales team got in touch without the installation team and set a suitable date for our installers to call to the customer’s home and have the stairlift fitted. 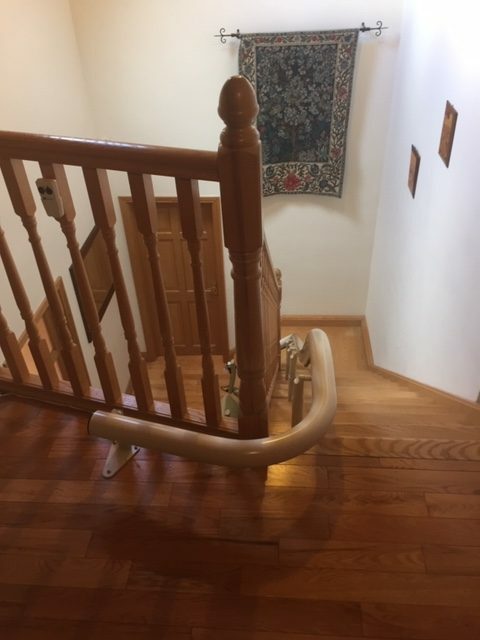 Once our installation team member, PJ, called to the home and began the fitting, he had the stairs installed within a few hours. Upon completion of the fitting, he cleaned up his work area, leaving it clean and accessible for the customer. 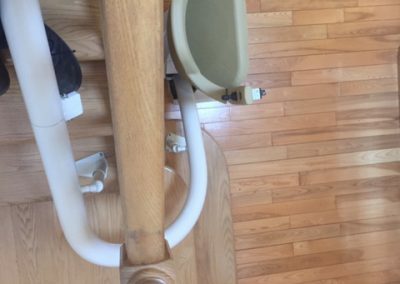 PJ then showed the user how to control the stairlift with the key switch, the remotes and went through the guidelines of using the stairlift with her. Our customer was extremely happy with our customer service, from the sales team and Robert and the work the PJ completed and the time in which he did so. 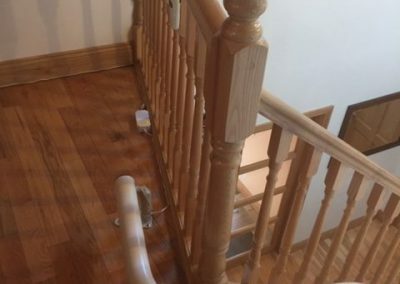 She has expressed her delight to be able to ascend the stairs in a timely manner, without pain or struggle. 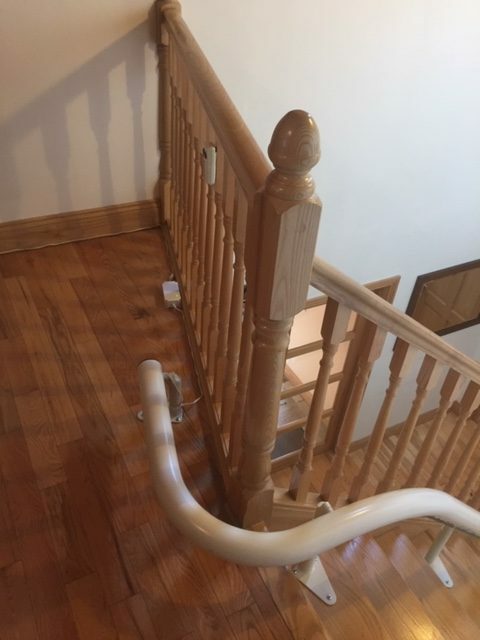 We’re delighted that our customer is comfortable climbing her stairs again, and thank her once again for her custom. 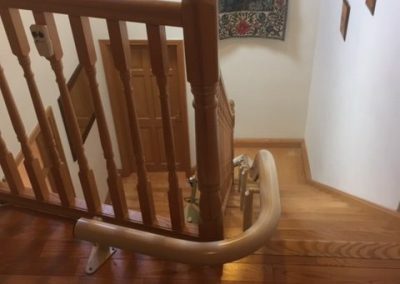 If you would like to more information about stairlifts in Tipperary or the surrounding area, you can LoCall (0818) 277 496 or email info@beechfieldstairlifts.ie and Robert can visit you for a free no obligation assessment. We can also provide grant information and assistance for the Mobility Aids Grant which you can apply to your local County Council for on a means-tested application.